The London Parakeets: Perfect Pest or Welcome Guest? At some point in the late sixties some Parakeets made a bid for freedom in London. For decades they were treated as an exotic guest and viewed with a mix of bemusement and pleasure. However, their days in London seemed to be numbered a few years ago but so far, the numbers seem to be increasing. 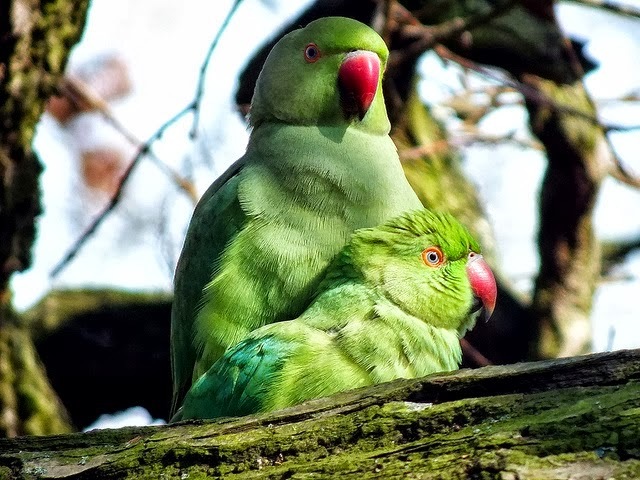 Full post: The London Parakeets: Perfect Pest or Welcome Guest?